Hello fellow Citizens! 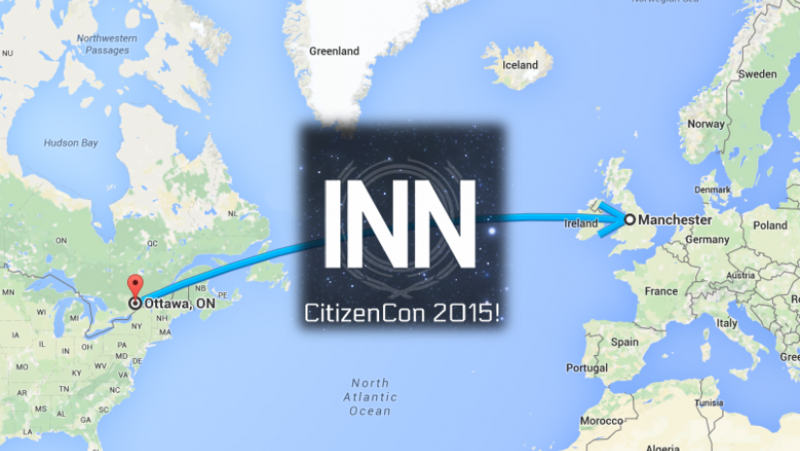 The Relay is going to be covering CitizenCon in Manchester, UK on October 10th. We could use your help to get there! CitizenCon is coming Citizens! October 10th at Runway Visitor Park at the Manchester Airport in the UK. It promises to be a very exciting event, with details on Squadron 42, a look at the completed Star Map, and a lot more! The Relay will be sending two of our members to the UK to cover the event – Erris, our Executive Producer, and Mr. White, our Audio Wizard. Between the two of them they will be working to get our community the best possible coverage of the event, hopefully including interviews and a tour of the Foundry 42 offices although those are both, understandably, not guaranteed. Well, travelling to the UK is not inexpensive… especially when you’re trying to also bring with you enough gear to properly cover a gaming event. To that end we have decided to start an Indiegogo campaign to see if our amazing community will help with some of the costs. The big upshot of this campaign is that not only will it help us cover CitizenCon, it will also help us cover all future events if we raise enough money to buy some new equipment. So! If you want to help us out, you can get some fairly interesting little perks! Ranging all the way from a simple thank you all the way up to joining us on The Relayverse the ‘Verse and The Relayside the ‘Verse… or even a kiss from Erris at CitizenCon (or simply the next time you see him!). Oh my. You could also get an The Relay T-shirt or a very limited edition The Relay toque! All sorts of things. There are probably a few folks out there who are aware that we also have a Patreon and MIGHT wonder why we don’t just cover our travel costs out of that. Well, the truth of the matter is that as we have become a more popular destination for Star Citizen news (for which we are EXTREMELY grateful), our hosting costs have significantly increased. Actually gone up 600% in truth. So, unfortunately most of the money currently coming in from Patreon is simply covering our hosting. Our Patreon is now updated to reflect this. Help The Relay Cover CitizenCon and more!